After eight successful editions of Nigeria’s Next Super Model, the search for Africa’s new talents in the modelling industry is coming to Ghana. Sparkzuta International Models in conjunction with Studio 24 and International Business Consortium (Nigeria) limited presents the much awaited Ghana’s Next Super Model official media launch. The launch is scheduled to take place at the Silver Lounge, Accra Mall on Wednesday, 18th February, 2015 by 4pm prompt. 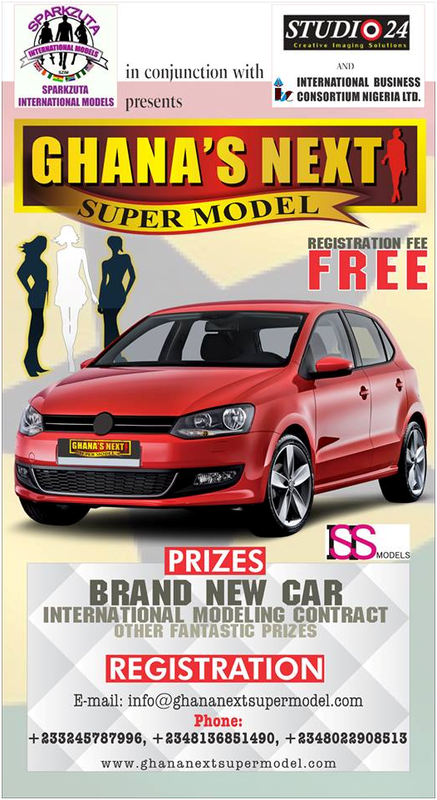 Eight beautiful and talented models have walked away with eight different cars and worked in major fashion shows and campaigns around the world through Nigeria’s Next Super Model and NNSM is currently on ninth edition. All aspiring models between the ages of 15-21 across Ghana are invited to participate in this event which will nurture and promote new faces for the Ghanaian beauty and modelling world. The aim is to make the dreams of young girls in Ghana a reality by giving them the orientation and encouragement needed to make them good ambassadors.